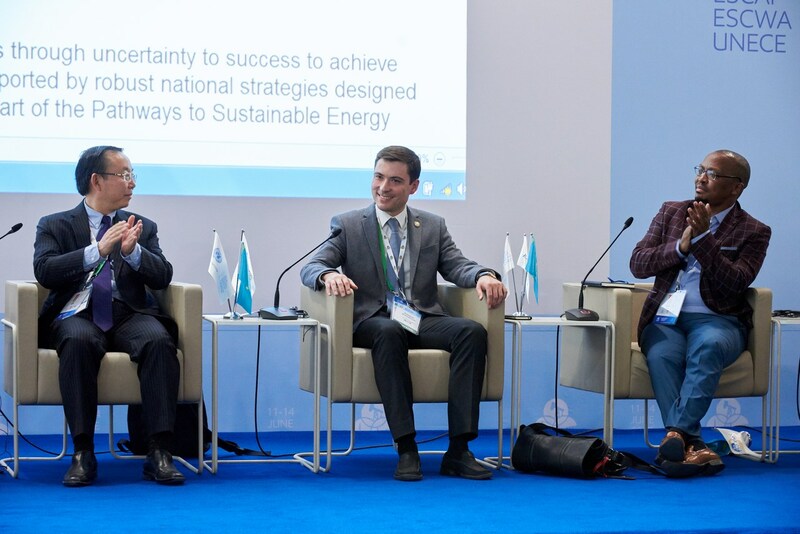 The National Nuclear Center of the Ministry of Energy of the Republic of Kazakhstan (NNC) and the ITER International Organization for Thermonuclear Energy have entered into the agreement on cooperation in various fields of activity. The signing ceremony took place in Astana on the sidelines of the Ministerial Conference: Meeting the Challenge of Sustainable Energy. The agreement was signed by Erlan Batyrbekov, Director General of the National Nuclear Center, and Bernard Bigot, Director General of the ITER Organization at the Congress Center, EXPO, Astana, Kazakhstan on June 11, 2017. The 17 UNECE countries in South and Eastern Europe, the Caucasus and Central Asia represented only 0.2% or USD 0.4 billion of global renewable energy investment in 2015. despite comprising over 300 million inhabitants and representing 4.9% of the world’s GDP Attracting investment represents a major challenge in these countries, even with numerous advanced support schemes and policies for renewable energy present.